Below are some questions we are frequently asked. We’ve done our best to answer them here and in Letting Go: How to Give Your Students Control Over Their Learning in the English Classroom, but we realize that this is a complex process and many schools have unique circumstances that could alter the way the ILP works. If you have any additional questions, or if you would like any additional support, please contact us at letgotolearn@gmail.com. We are happy to help! How much control do you maintain, and how much control do you give your students? It varies. In some classes, we have very specific texts, standards, and assessments we need to do each unit, so these are a little more restrictive for the students. In other courses, we simply have a set of standards to accomplish by the end of the course, and so the students really get to design their own learning. The key is examining your curricular requirements and your own comfort level in order to determine the level of control you allow for you and your students. You can also scaffold this process by starting a course fairly teacher-directed and shifting, little-by-little, to a more student-directed class. For more information, including specific examples, see “Scaffolding the ILP” in Chapter 10 of Letting Go. What were some problems that you encountered the first time around? Students are resistant because it’s something new and uncomfortable for them. We had some pushback initially, but we also had students who were really excited for the challenge. At times, it was difficult to persevere, especially in those few classes where the more vocal students were the ones who didn’t like the new system. We found that it helped to let students know that we weren’t simply going to return to a more traditional model and to explain why we felt this structure was more beneficial. Parents have lots of questions because this looks nothing like the schooling they grew up with. Of course, most of the information they have about the class comes from the students who may or may not communicate the structure accurately. We found many parents, at least initially, thought that student-choice meant no structure, and so part of our outreach at Back-to-School Nights, in parent emails, in our course syllabi, and in first-day letters home focused on not only the purpose for and philosophy behind the shifting structure, but also about the Inquiry Learning Plan itself and the more regimented aspects of its implementation–when students would receive grades vs. feedback, how they would be scored, what kinds of requirements existed for each unit, etc. Managing the influx of work might be another struggle–unfortunately, this process doesn’t lessen the amount of work, but it has changed our approach to assessing. Because students are creating unique activities, it can be harder to read through an entire class set at once–you need to switch your frame of mind with each assignment, since they’re tackling a different question, text, and standard (depending on how much freedom you’re giving!). We’ve worked out rotating due dates with students; we have also experimented with having students give each other feedback throughout the learning process. We address these and many other pitfalls throughout the book! Does this approach work with all levels of students? We have tried this approach with grade 9-12 students from honors to inclusion classes. We think that it’s flexible enough to work with students at any level, though as a team we have yet to try it. One of our colleagues, who teaches a pull-out English IV course has had success with the ILP, and we’d be happy to pass along any questions to her that you might have about that population of students. We’d love to hear your stories of using the ILP with different levels of students. How do you structure a typical class? We usually spend about 15 minutes devoted primarily to SSR, which has been an initiative in our department. We might then spend some time completing a class activity–maybe dissecting a poem to get a better understanding of the unit’s central theme or time period or a doing a text talk, where students share what they’re reading and learning that day. The majority of the class time is spent in workshop, with the students working quietly or in inquiry groups or conferencing with the teacher or a peer. 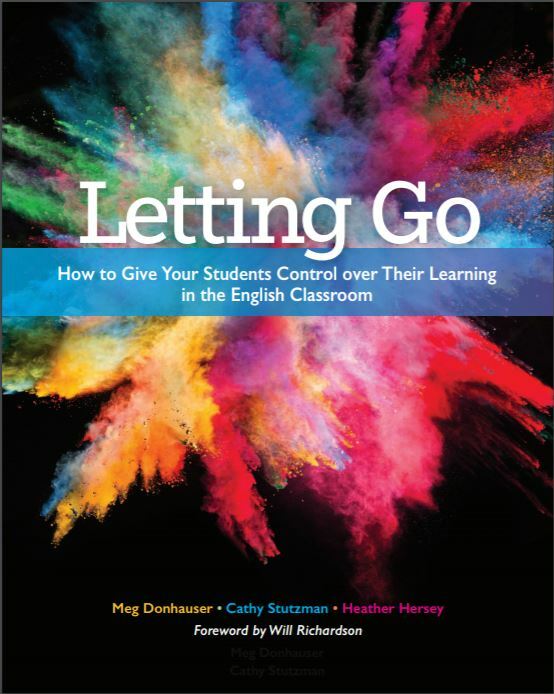 Letting Go is full of strategies for class activities and workshop time! To see a typical class in action, visit Meg’s sophomore English class as students work with the ILP. Watch as Meg facilitates how to create essential questions and develop an activity from a reading standard.